Need to head to the airport soon? 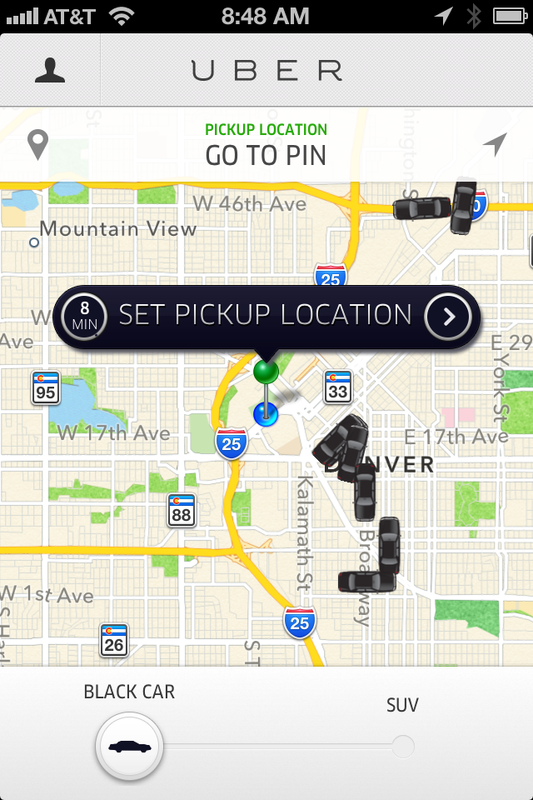 Uber is offering a Good deal on rides between Denver and Denver International Airport now through July 1st. The promo code “denubertravel” gets you $40 off a private luxury ride to or from DIA (normally $80). If it is your first time using Uber, combine that promotion with this $10 off coupon code (promo code: “uber10denver”) and get an additional $10 off. That would bring your total cost of a luxury ride to the airport to $30–about half of an ordinary cab ride to the airport. Uber is an app that uses location-based technology to connect passengers with nearby licensed private local luxury car drivers, who then take the passengers wherever they want to go. The company is increasingly popular, but that popularity has also led to some challenges. Uber has experienced regulatory setbacks in other cities and states as regulators, taxi companies, and Uber duke it out to determine whether Uber should be regulated like taxis, like a limo service, or if it is merely a “connector” and not a car service. So far Denver and Colorado have mostly embraced the company’s innovative approach to getting people where they need to go, though even here the company has faced some regulatory challenges from the state Public Utilities Commission in response to taxi cab company complaints. I recommend that you try Uber out to see for yourself what all the hype is about. The ease of use of the app, the ability to track how far away the car is when it is coming to pick you up, the cleanliness of the vehicles, the only marginally more expensive price for most trips around town (compared to the cost of a cab), and the lack of a need for cash (tip is already factored into the pricing) or even a credit card (your credit card information is stored in the app) have made all of my Uber experiences quite Good.